Weather project and a fascinating craft! Make 36 colorful metal rain gauges. Ladybug, dragonfly and butterfly shapes. 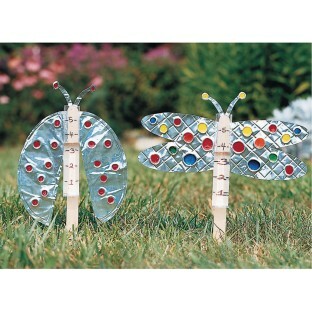 Dress up the yard or garden and track the rainfall! We used this kit at our summer camp. The foil tore easily and the kits were frustrating to assemble. We did this activity with 7 year olds and it was not a satisfying experience. Merchant response: Thank you for the recent product review you submitted. Our customer's feedback on their experiences with our products is vital and it helps us to identify problems. Your comments have been forwarded to our product team for review. Please note the recommended age for this craft is 8 and up. Unless you have a ton of time to precut the shapes and do pretty much everything before your students try to put these together don't bother buying. The Metal isn't much more than heavy aluminum foil and was nearly impossible to attach to anything without ripping. It is a rain gauge. It should be attached to something more stable than a tongue depresser. I made one to and it fell apart and could not even get it in the ground. I was very disappointed in the time involved to make these. Would not recommend. Merchant response: Thank you for your review. This customer has been given a refund on this item. 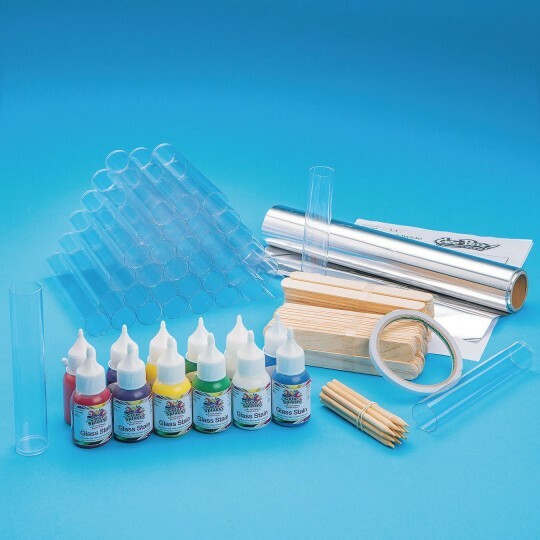 Ordered kits for 2nd and 3rd grade kids too difficult will use them with older students.